Current research shows that a planned home birth for a low risk healthy well woman, with one baby is a safe choice and is less likely to result in unnecessary medical intervention. If you choose to birth at home, your midwife will be with you throughout your labour and will provide clinical care and support including monitoring the wellbeing of you and your baby. At Coast Life Midwifery we believe the safety of you and your baby is paramount and at the birth a second midwife, who you will have met at our clinic will also attend. Your midwife will have also discussed with you in your pregnancy, all of the necessary equipment that is needed to ensure a safe birthing environment, she will bring this equipment to your birth. Following the birth of your baby, your midwife will ensure that you and your baby are well, including providing support during the early hours of transition after the birth ‘baby moon’ time. This special time includes delayed cord clamping, skin to skin and the first breastfeed. Each of our midwives is experienced and credentialed with visiting rights to the Sunshine Coast University Hospital and is able to provide midwifery care for women within the hospital. If labour and birth become more complex we then work in collaboration with the hospital team to provide ongoing continuity of care. If you decide to birth at the Sunshine Coast University Hospital your midwife provide all of your labour and birth care and will work with you and your birthing partner to achieve a positive birth experience. After the birth of your baby your midwife will whenever possible support best practice, including delayed cord clamping, skin to skin and the first breastfeed. Should you decide to birth at the Sunshine Coast Private Hospital, the hospital midwives will provide your clinical care. However, your Coast Life Midwifery midwife will provide you with birth support and your midwife will advocate for your birth choices while providing continuity of care in collaboration with the hospital team and your private obstetrician. Advocating and reinforcement of information will ensure that you have a positive birth experience. 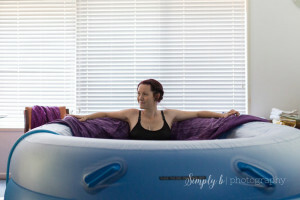 Coast Life Midwifery midwives are all highly experienced to support women choosing water immersion and water birth, and this option is available for both hospital and home births. We have several portable birth pools available for women. 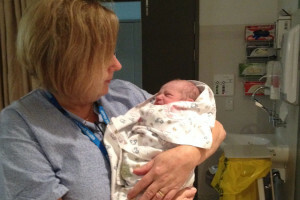 The Sunshine Coast University Hospital also has birth pools available in most birthing rooms!